Willian said his future is at Chelsea as he brushed off fresh reports linking him with a move to Barcelona. The Brazil international is thought to be on the Camp Nou club's radar, with Chelsea said to have rejected a Barca offer of Malcom plus cash for his services. Yet after scoring the winner in Chelsea's 2-1 Premier League victory over Newcastle United on Saturday, Willian dismissed speculation regarding his future. "My future? It's here at Chelsea," he said. "I don't know what you're talking about. I didn't see the newspapers." Willian produced a world-class finish to secure the three points at Stamford Bridge, after Ciaran Clark had cancelled out Pedro's opener. 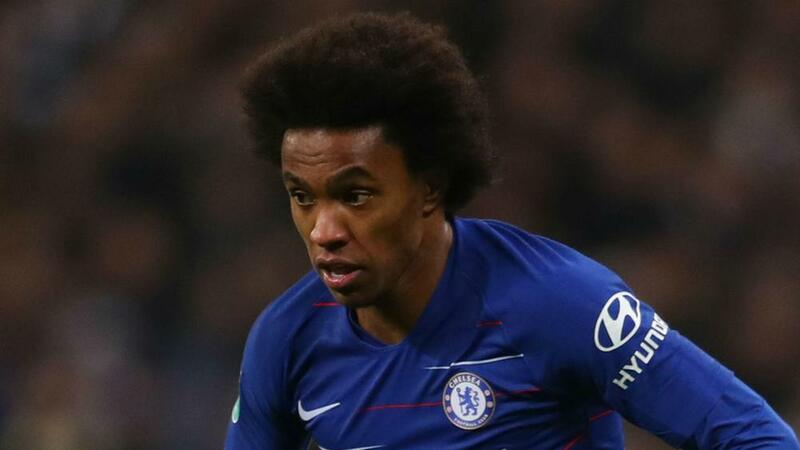 Given the space and time to plot his next move on the left of the penalty area, Willian cut inside and curled a beautiful strike beyond Martin Dubravka. "It was a good goal," he added. "I found the space and I put the ball exactly where I wanted to put it."